Andres Roots Roundabout: Tonight @ Volga!!! Terep & Roots @ Blue Icicle last night. Pic by Üllar Kallau. 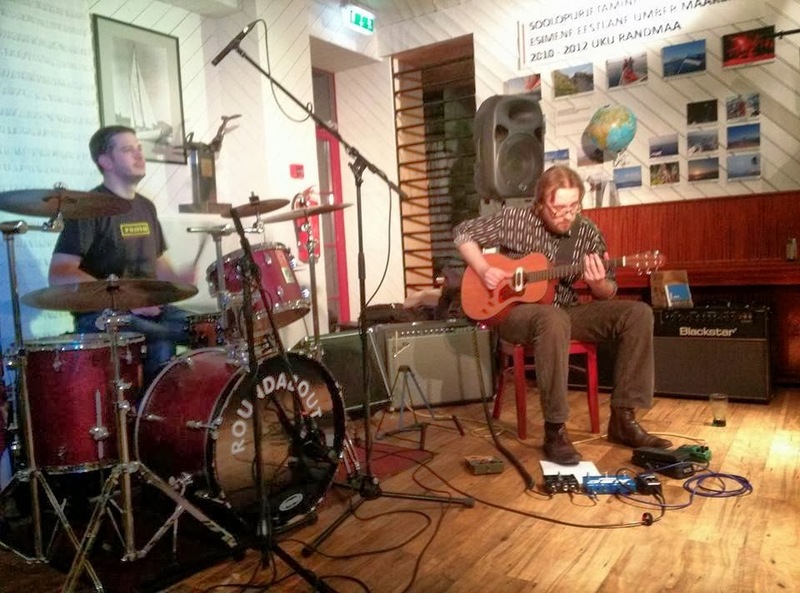 Tonight will be a very special night at the Volga in Tartu: first, you'll get to hear the fabulous MOduo, who'll be joined by Roundabout's Raul Terep on drums for a few numbers. Then, you'll get to witness the highly irregular duo set that Andres and Raul have perfected over the past two nights, playing with Finland's Devil Box at Underground and at the Blue Icicle Festival in Pärnu. And then - wait for it - Martin Eessalu of MOduo will join us for one last run-through of the "Three!" album material. One night only, no excuses - free entry for all!